We're just recovering from checking out the avalanche of gadgets unveiled at this year's Consumer Electronics Show in Las Vegas, where there was a product to suit everyone: super-skinny TVs, underwater drones, crazy wearables, VR/AR kit, phones and much more. In the midst of the CES action, though, it can be difficult to see the bigger picture. The expo is an early marker for where the tech industry will be heading for the rest of the year, and these are the overarching themes we noticed - expect to hear more about them in 2017. We've actually lost track of the number of new gadgets that launched with Alexa inside at CES - there was definitely a robot from LG. And a smart speaker from Lenovo. Oh, and automobiles from Ford. It shows what a smart move launching the Echo was back in 2014. The intelligent Alexa assistant is now making its way into all kinds of products, while the likes of Google, Apple and Microsoft struggle to catch up with what Amazon has created. Alexa may have stolen the show at CES 2017 but we saw a few new gadgets (like the Nvidia Shield TV) with Google Assistant inside, and rivals like Siri and Cortana won't be sitting around doing nothing during the course of 2017. Whether or not you've already got used to one of these voice-controlled assistants, they're here to stay, and they'll be expanding way beyond phones and computers in the coming months. Check the small print on any gadget you pick up during 2017 and it may well have Alexa - or Google Assistant, or Siri, or Cortana - built in. For a while, desktop and laptop PCs were pretty boring. Designs weren't changing, software wasn't really moving forward, and unless you dropped your laptop in a lake there wasn't a lot of impetus to upgrade. In fact there was a moment where it looked as though tablets might wipe out computer sales completely. Well, CES 2017 is proof that PCs are interesting again - ultra-thin designs, 2-in-1 models, better graphics and screens. Huge curved displays (if you've got $9,000 to spare), three-in-one screens for your laptop, and so on. We're not on Microsoft's payroll, but the company has to take a lot of credit for reinvigorating the industry - not only did it take a punt with Windows 8/10 by turning it into an OS that could run on laptops as well as standard computers, it also led the way with hardware in terms of the Surface Pro, the Surface Book and the Surface Studio. As you can see at CES, almost every manufacturer has a Surface Pro 2-in-1 of their own now, and a few have a Surface Studio equivalent as well. Tim Cook might not be losing any sleep just yet but Apple would do well to take note of the resurgent PC market, especially in the light of the rather underwhelming MacBook Pro refresh. It has a very capable 2-in-1 of its own in the form of the iPad Pro, but right now it looks like Microsoft's strategy is the smarter one. Admittedly wearables haven't quite taken off in the way some were predicting - at least not yet - but if you take a look at the gadgets coming out of CES 2017 it's obvious that the product category is far from dead. It's growing slowly, but it's growing. Fitbit added social elements to its app ecosystem, we saw a smattering of new smartwatches and fitness trackers, and there was even news of Android Wear 2.0, suggesting Google's forgotten watch OS will be making a comeback in 2017. If you extend wearables to include AR and VR headsets then the future looks even brighter: from the new wireless tracker for the HTC Vive, to the cheap-yet-good-quality VR headsets on the way for Windows, 2017 should be good year for realities virtual and augmented. If 2016 was the blistering debut album for AR/VR, then this year looks set to be a solid second album follow-up. 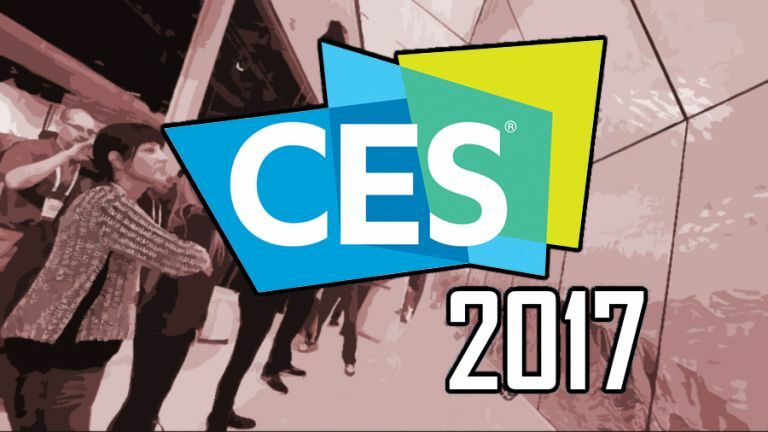 While the wearables of CES 2017 might not have exactly taken our breath away, there were enough of them around, and enough minor improvements, to show that they're here to stay. What's more, they're getting smarter and less obtrusive all the time. The smart home revolution has had so many false starts that it would have been disqualified a long time ago if it was running in an actual race. Yet from what we saw at CES 2017, this is likely to be a slow but steady evolution, and it's still happening. Our homes won't be dumb one day and then smart the next - it's going to be a gradual process, and at some point in the future, every gadget you buy for your house will have an internet connection and some kind of intelligence (and probably Amazon Alexa too - see above). There were so many smart home gadgets at CES this year, none of them particularly ground-breaking, but all of them evidence that this is a part of the tech market that's maturing and finding its feet. We also saw a fantastic range of new television sets announced - all of which come with smart functionality and internet access, of course. Of course there's still a long way to go and a lot of problems to iron out, but we won't be surprised if smart home connectivity played a big part in all of the flagship tech launches this year - from Apple TVs to smartphones.